Genting Singapore drop 6.6% today after announcement that it expected to report a significant decline in second-quarter net profit after tax as a result of fair value losses on derivative financial instruments stemming from unfavourable market conditions and unrealised foreign exchange translation losses. The question most people like to ask now will be, will it go lower? Our view is the trend remain the same, until it bend. 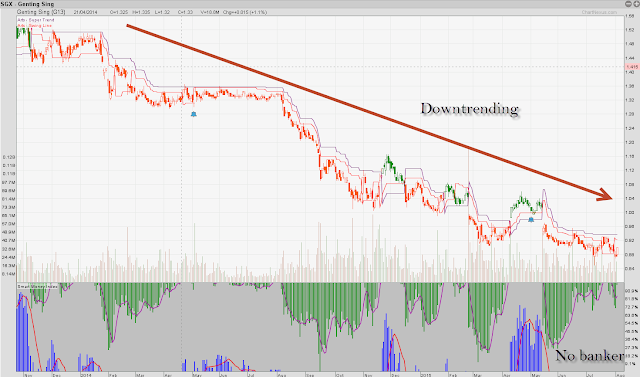 As long as it is still making new low, the trend still weak. Our system indicate weak trend as Orange candle. Genting Sing has been orange all the time.